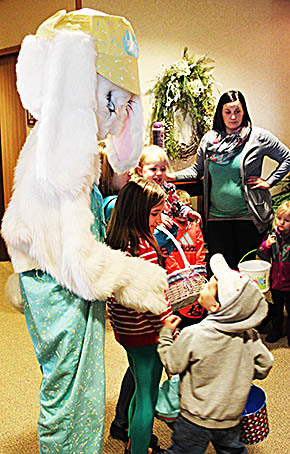 The Easter Bunny was on hand to greet many of the more than 200 children on hand for the annual Easter Egg Hunt at GSS Albion Samaritan Estates last Saturday, April 8. More than 1,000 plastic eggs were found by the three age groups. 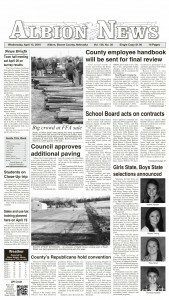 A total of 14 special baskets were given away by local businesses.